Sprays of double, slightly fragrant, creamy to pure-white flowers from July to September and masses of mid-green leaves. 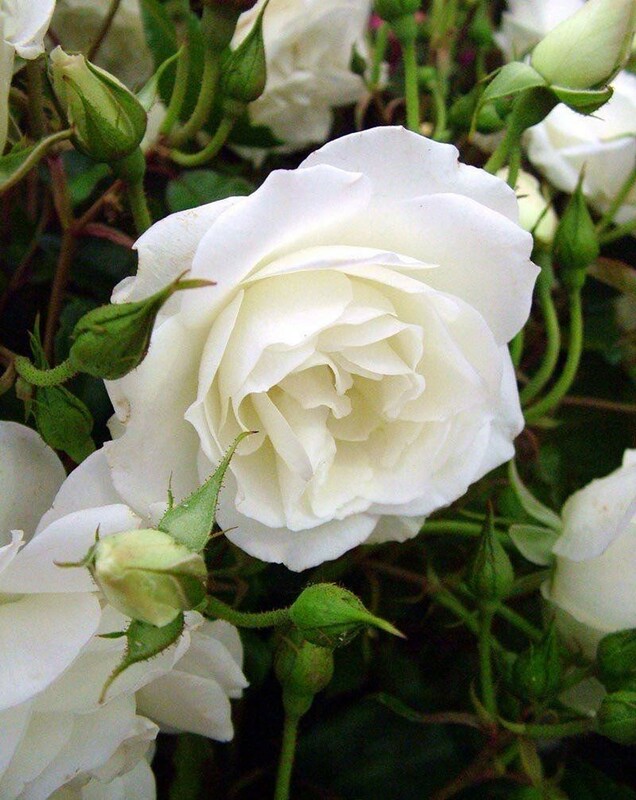 This vigorous, cluster-flowered bush rose is an ideal specimen or hedging plant for an open, sunny site. 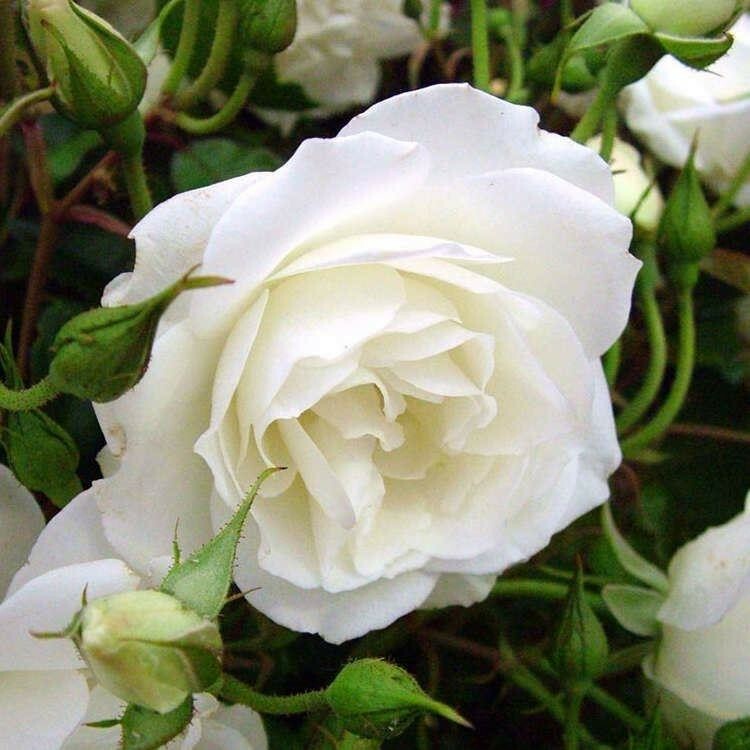 Delicately fragranced Floribunda Bush Rose and one of the most popular varieties.